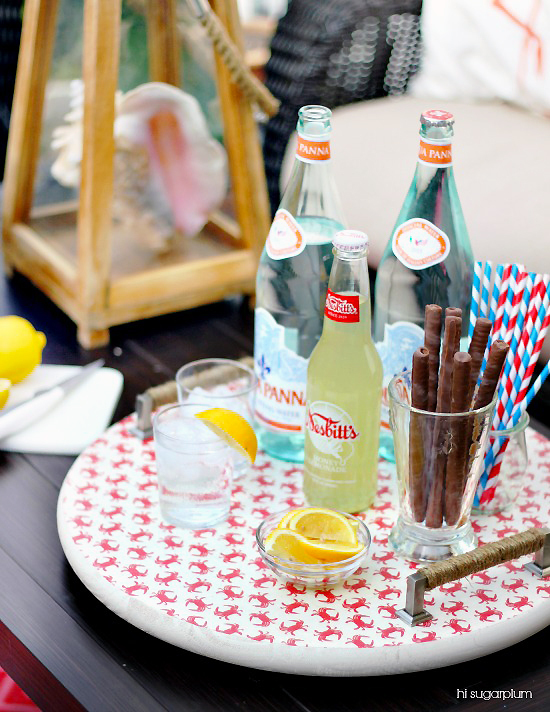 It is FINALLY time to start celebrating the warmer months! I am so freaking excited! Outdoor rugs and grilling and entertaining and relaxing.... so much to look forward too! 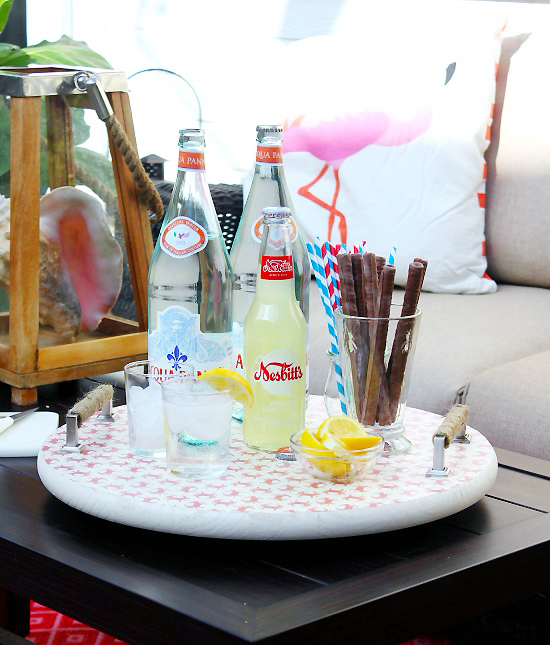 Speaking of entertaining, my super gal pal, Cassie of Hi Sugarplum, is here today to share with us how she put together the most fantastic serving tray. It is not just any tray my friends, she really took it to the next level. Here she is now with all the serving-tastic details! Hey there, friends...it's always a thrill to hijack Jen's blog for the day, and today I'm especially excited to share my latest project with you! The temps are finally warming up, which means we'll be spending more time outside... especially at mealtime. 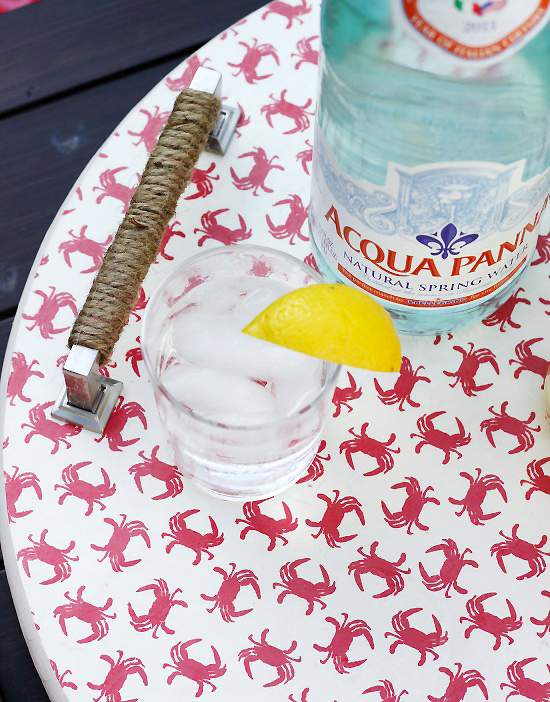 I've seen so many cute outdoor serving pieces in the stores, but thought it'd be more fun to customize one myself. 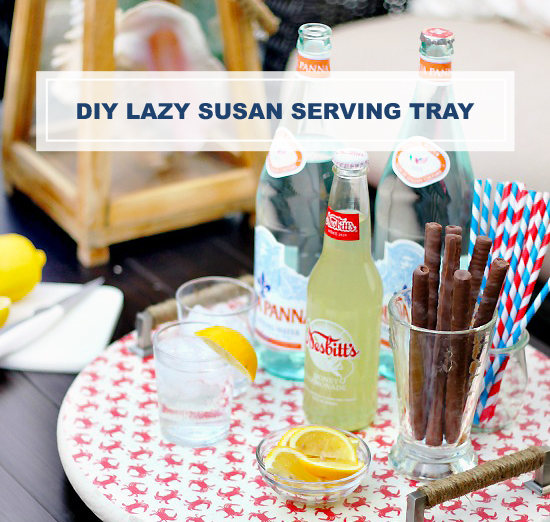 And who doesn't love a Lazy Susan... so I combined it all into one fab tray! 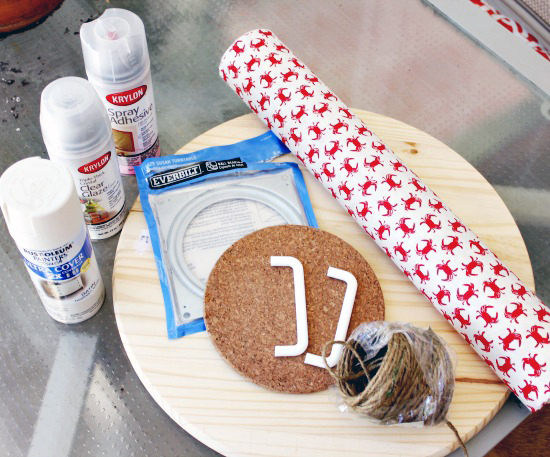 Okay, so I snapped the supplies picture based on how I thought the project would go, so of course that didn't happen. This project took some trial and error, and I may have gone through a few sheets of paper, and started over twice, but you lucky-ducks will get to skip all that, because I've worked out the kinks for you! 2. 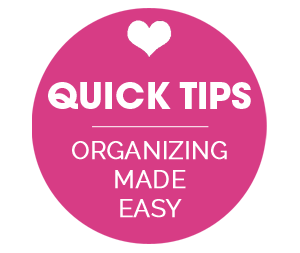 Peel the backing off a piece of Contact Paper, and layer it over your decorative paper, smoothing out any bubbles... essentially laminating it to protect from messy food and drinks. 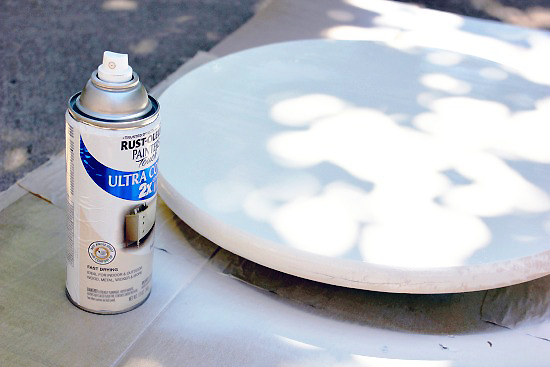 Then spray the back of the decorative paper with Spray Adhesive, and lay the round face-down on it. 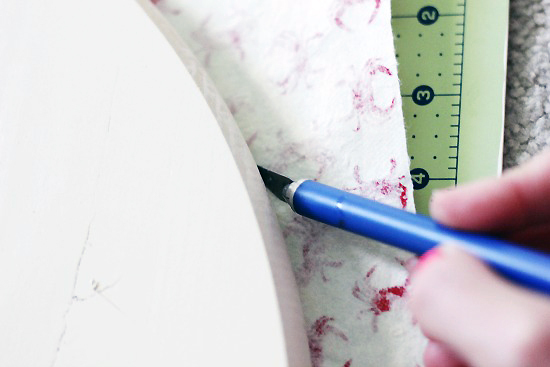 Use a sharp blade to cut around the edges. 4. 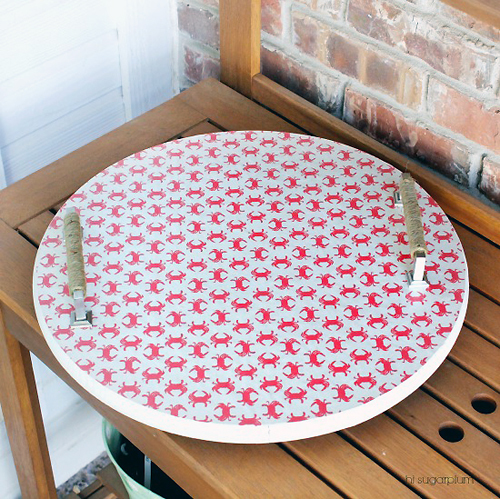 Once the top is set (and dry if you used Mod Podge), turn it over and attach the Lazy Susan Turntable with screws. 5. 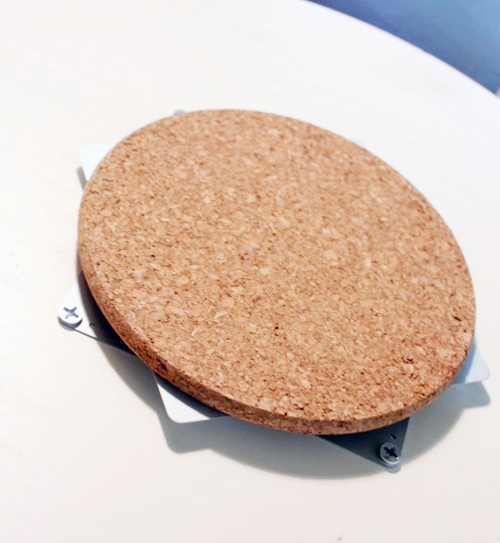 To protect your table surface, hot-glue a cork trivet to the base of the turntable. You could also attach a scrap piece of wood. 6. 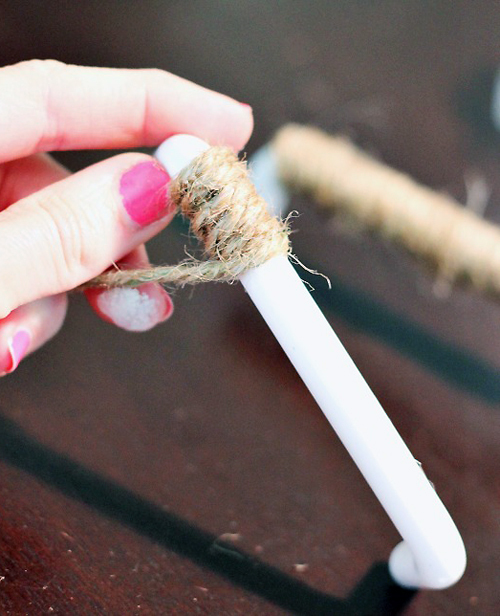 To go with the nautical look of the crab paper, I wrapped jute string around the cabinet pulls, attaching with hot glue. 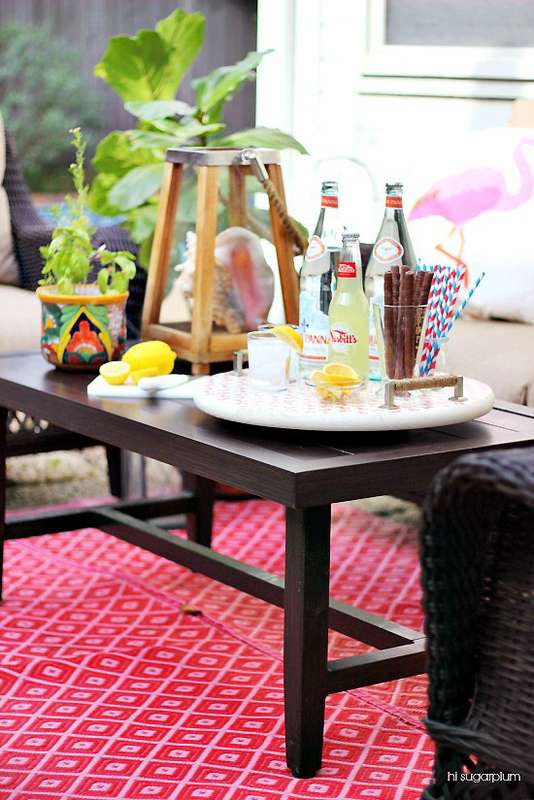 See the full patio makeover here. 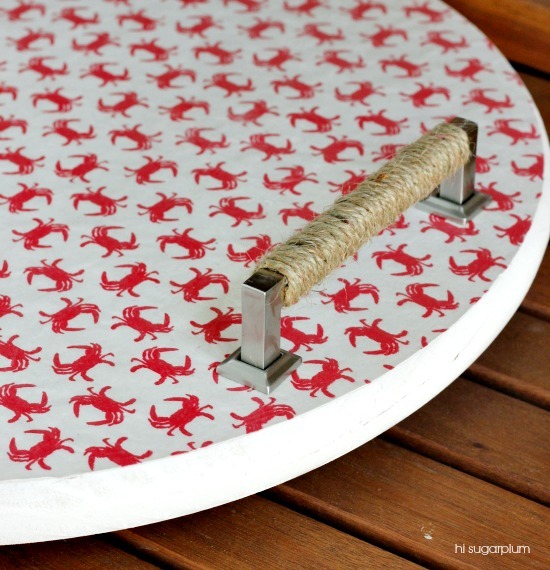 You could certainly skip the handles and/or Lazy Susan, but I'm a fan of more is more, so bring it all on! Thanks for hanging with me today, and happy almost weekend, lovebugs! 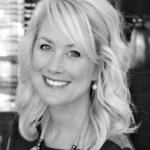 "Hi, I'm Cassie, a DIY and design-obsessed Texas girl, and lover of travel, fashion, sarcasm and Mexican food. 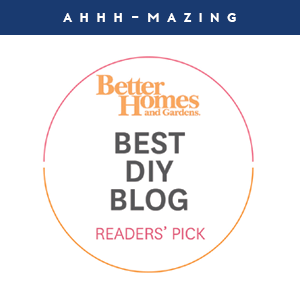 When I'm not hanging with my sweet and funny family, you can find me kicking the '80s out of our home, one budget project at a time, on my blog Hi Sugarplum!" SO fun! I love the crab paper. Looks like something I could definitely tackle once we get our back yard living space in order. Thanks Lauren...and YES, such an easy project! And fun! WOW! This is adorable! 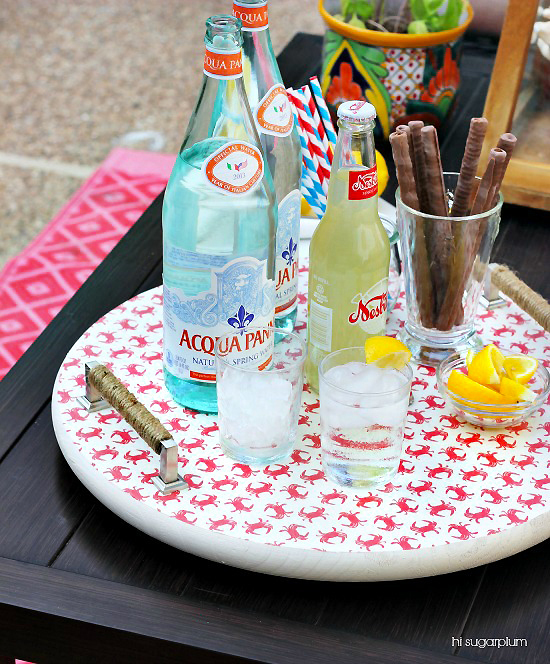 I'm so excited to be back outdoors and I could so use a fun serving tray. Thanks Cassie for the inspiration! Color me smitten! Love it. Great job. Very inspirational! What a fun project! Super cute Cassie!! Thanks, Lauren!! It was a lot of fun! 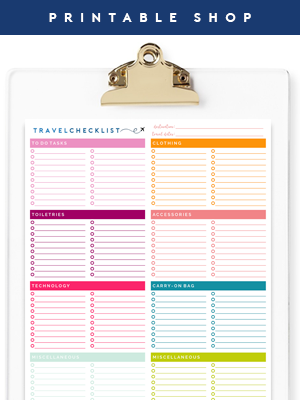 such a good idea-- pinning and determined to execute! Thanks for the pin, Stephanie! What a fabulous project! And thank you for sharing the mistakes you made - that actually really helps. Can you give us an idea of what this project might cost to make ourselves using comparable items? Thanks again! Thanks Erin! 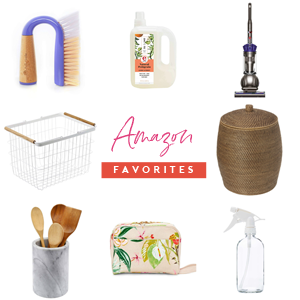 I linked most of the items in the supply list...the wood and lazy susan are about $5 each....the rest of the cost would depend on whether you had things on hand, and also the paper and handles you chose. 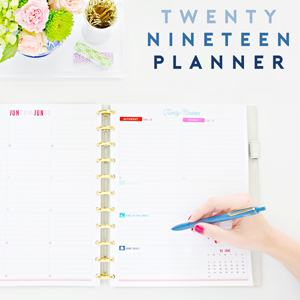 You could definitely create the project for under $20! Hope this helps! This is so cute. I have a lazy Susan from ikea that I think was 7.99. I never thought of painting it or putting on contact paper. Can't wait to spruce it up. Thanks! Thank you, Ashley -- that's a great idea to make them as gifts! It would be fun to bring one to a party! Thanks so much Cassie, it looks useful and gorgeous. Enjoy yours. This is super adorable!! You did a great job, I love the crabs! Perfect for the 4th of July! 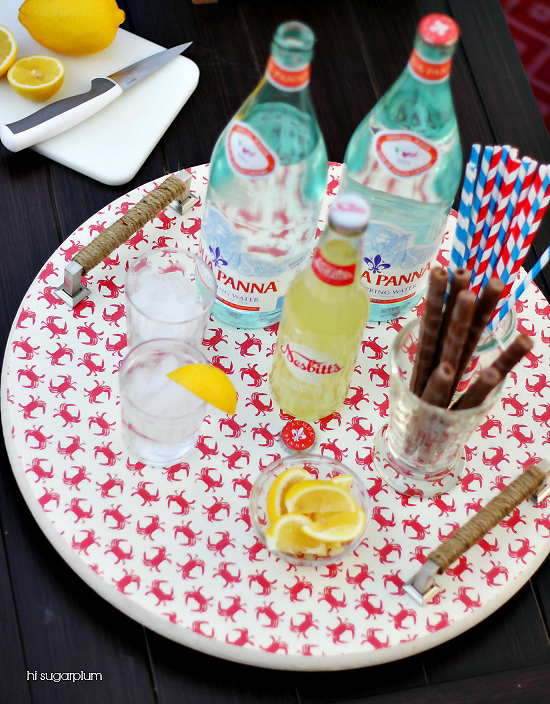 I love all things red, white and blue...and the crabs were just asking for an outdoor project! 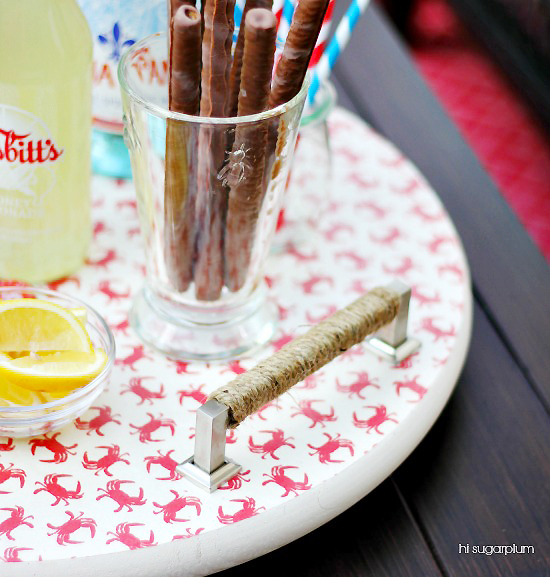 I really love the idea of using handles on the tray! It does make it easier to transport! I wonder if oil cloth would also work? I've never tried to glue it down but it would be a quick clean up! Oil cloth would be a great option, and certainly better protection! Right?!?! 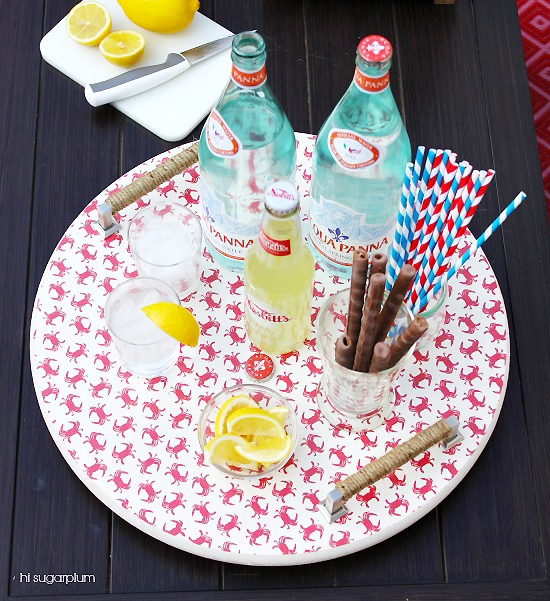 I was surprised they sold the lazy susan and the finished wood rounds...and for so cheap!!! 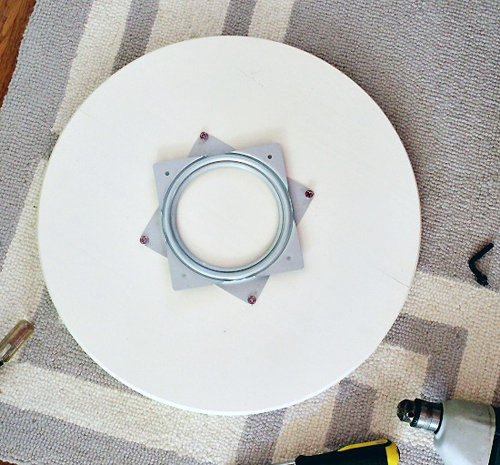 I always wondered if you could buy that base to make your own lazy Susan! (I don't know why I never researched that). I especially like the jute-wrapped handles. This is super cute and looks pretty easy. Thanks for taking one (or four) for the team! 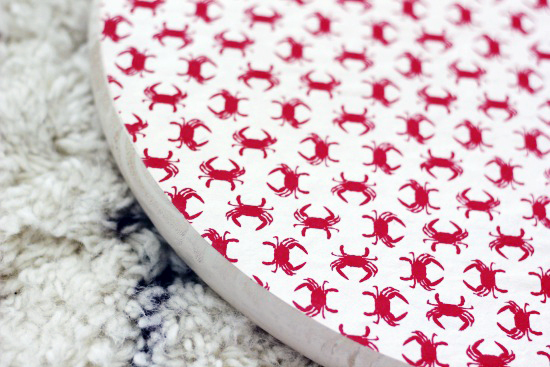 I am OBSESSED with that crab paper! And adding the lazy susan function is so smart! The second I saw the paper, I knew I HAD to have it, and a project was born! I LOVE that crab paper!!! Suuuuuch a good idea! It looks to be so simple and looks so classy! I love that print you put on there! Cute idea!